The nearly 100 attendees were the largest ever for the Pointwise User Group Meeting and included engineers from across the U.S., Asia, and Europe. Attendees previewed the upcoming Pointwise Version 17 release and got hands-on experience with a prerelease of the software during a full day of training on the first day of the meeting. The second day's agenda included a discussion of future Pointwise development plans and technical presentations by users on a variety of topics, including liquid rocket engine performance analysis, turbomachinery structural analysis, overset grid technologies, aerodynamics, and coupling computational fluid dynamics (CFD) with infrared analysis. One of the more notable presentations was An End-to-End High Fidelity Numerical Simulation of the LE-X Engine - Grid Generation Challenge for Full-Scale Rocket Engine Simulation, by Dr. Nobuhiro Yamanishi and Dr. Naoki Tani from the Japanese Aerospace Exploration Agency (JAXA). They used Pointwise and Gridgen, along with the CRUNCH CFD Navier-Stokes solver from CRAFT Tech and FieldView postprocessing software from Intelligent Light, for what is believed to be the first end-to-end three-dimensional analysis of an entire liquid rocket engine system, including coupling between its various components. 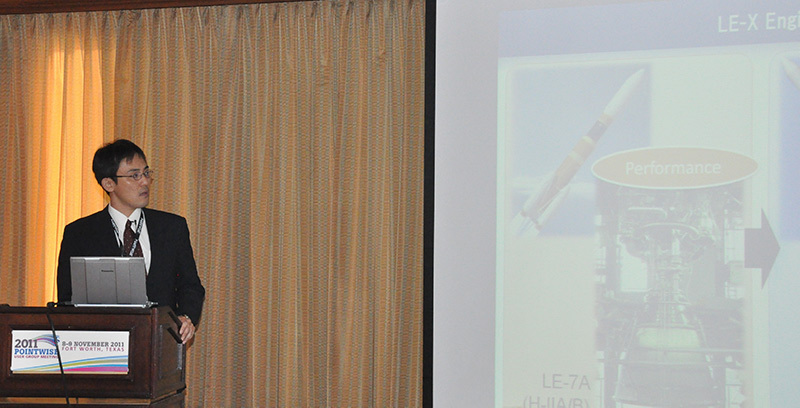 Figure 1: Dr. Naoki Tani from JAXA presenting at the Pointwise User Group Meeting 2011. Two other presenters showed unique applications of Pointwise. Mikhail Grigoriev from Cameron Compression Systems presented Automated Finite Element Mesh Generation for Centrifugal Impeller Blades Using Pointwise. Mr. Grigoriev wrote a Glyph script that automatically generates hexahedral grids for solid impeller blade geometries. The grids and subsequent finite element analysis successfully predicted failures due to high frequencies. Andy Luo from Swift Engineering is generating hybrid meshes for external automotive aerodynamic analyses that exceed 1 billion cells. In his presentation, Generating Billion Cell Grids Using Pointwise and Gridgen, Mr. Luo showed one such mesh that required slightly more than 19 hours of total CPU time and consumed a little under 85 GB of memory. Also, the first Meshy Award was presented at the meeting to Dr. Michael Böttcher from Karlsruhe Institute of Technology for his mesh of a nuclear power plant reactor pressure vessel. The Meshy Award competition was instituted by Pointwise this year to recognize the artistry and technical skill of Pointwise and Gridgen users. Dr. Böttcher's hybrid mesh, comprising approximately 35 million cells, includes intricate internal details of the pressure vessel. It has been used for transient analysis of flow and temperature inside the reactor. Dr. John Steinbrenner, Pointwise's vice-president for research and development made the presentation to Dr. Böttcher. Images of Dr. Böttcher's award winning mesh were used in the design of T-shirts presented to all meeting attendees to commemorate the event. 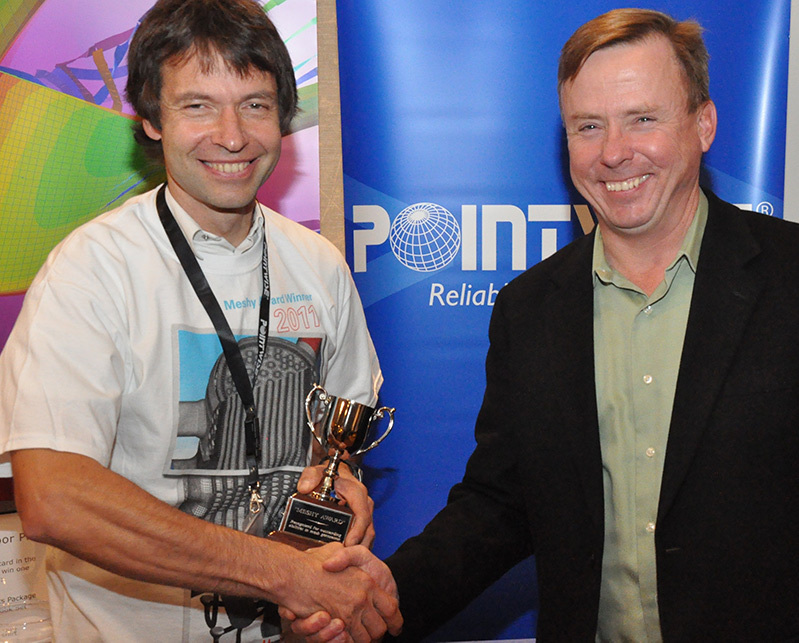 Figure 2: Dr. Michael Böttcher receives the 2011 Meshy Award from Dr. John Steinbrenner. More than 60 people attended hands-on, Pointwise V17 training on the first day of the meeting. Through both lectures and interactive tutorials, they were able to learn about and use new features that will be available in the upcoming release. The port of T-Rex, anisotropic tetrahedral volume meshing, to Pointwise was very popular with trainees because the technology has been made even more automated and easier to access. The special short course T-Rex In the Real World, selected by on-line voting prior to the event, gave attendees guidelines for generating hybrid meshes with the T-Rex technique for very specific scenarios such as narrow gaps and high curvature. Attendees also enjoyed being able to interact with Pointwise support staff to learn their tips and tricks for speeding the meshing process. Figure 3: A full house for a full day of software training at the Pointwise User Group Meeting 2011. “The best yet”, “Great job as usual!” and “Really enjoyed the training session. Very well done!” are just of few of the comments from the meeting's feedback forms. The 2011 Pointwise User Group Meeting left everyone with a positive feel from its two full days of lively interaction about CFD, mesh generation, applications, and future plans. Keep an eye on www.pointwise.com for news about the next Pointwise User Group Meeting, which will be in about 18 months.